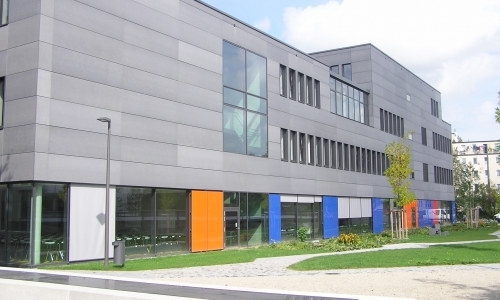 Institute building for the Faculty of Business and Computer Science for up to 1700 students. 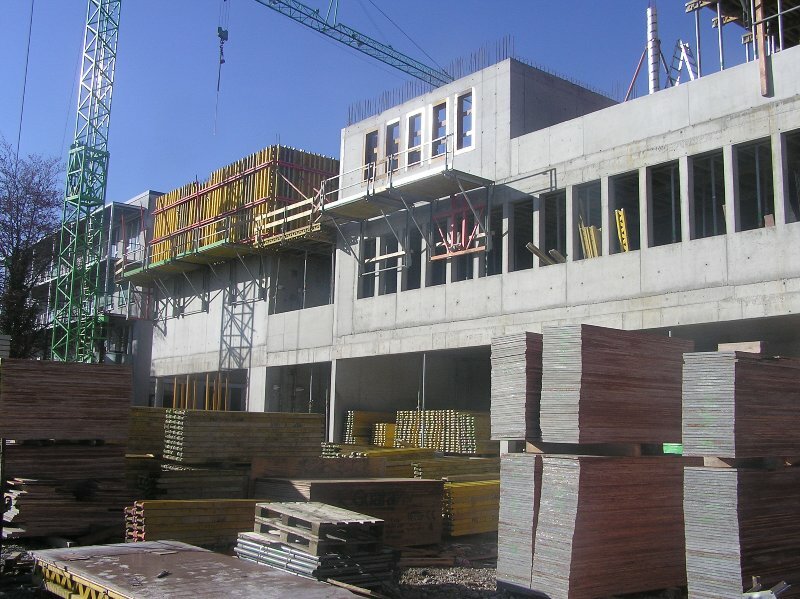 4-storey building in reinforced concrete construction with a footprint of approx. 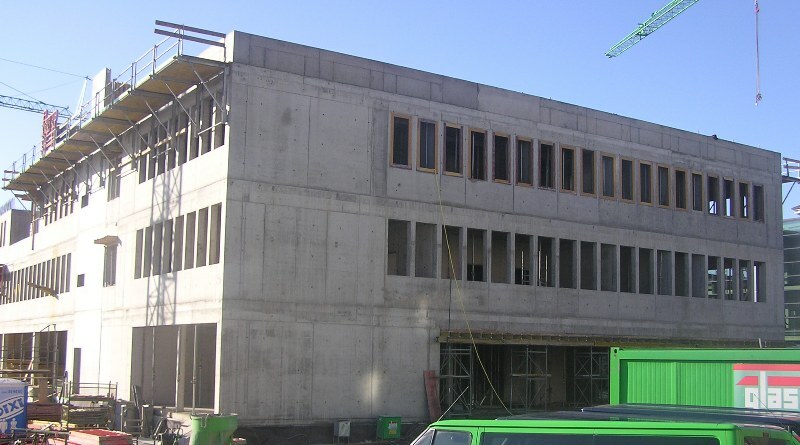 64 x 31 m containing lecture rooms and auditorium for up to 160 students. Parking deck for more than 100 cars executed as steel composite structure.